Today on the blog, we welcome English & School Support Teacher, Mrs. Walker, who has written & submitted the following reviews. Do you want to be featured on the blog? Write a review or recommendation of a book you've recently read and email it to Mrs. Girard . Thanks Mrs. Walker! 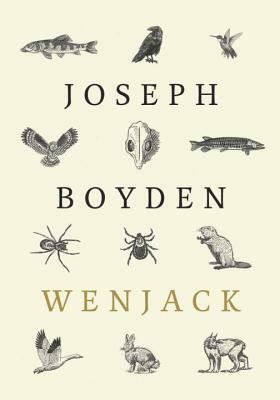 Joseph Boyden's hand-sized novella traces the journey of Chanie Wenjack's escape from a residential school in Ontario. The story is told from the point of view of Chanie himself as well as from those of various animals (manitous) who observe him along the way as he tries to get home, hundreds of miles away from the residential school and its horrors. Based on a true story, this is a sad account of what many First Nations children experienced up until 1996. Important reading for all Canadians, this short book can be read in about an hour. Like her other novel, In a Dark, Dark Wood, Ruth Ware's second novel is a closed-room mystery which takes place on a small luxury cruise ship. The protagonist is invited and witnesses a woman being tossed into the sea. Her attempts to report and then find the culprits are foiled, and she ends up in a precarious and dangerous situation herself. The plot is clever, but plods on a bit. At times, we as readers wonder whether the narrator herself is unreliable. Not exactly a tightly -wound plot a la Agatha Christie, but a page-turner nonetheless. Like her previous novel, what appeals is the atmospheric detail of murder in the North Sea and a host of rather un-appealing suspects. But the plot, in the end, seems rather contrived. Definitely a keep-you-up-at-night read, but the resolution is somewhat predictable and anti-climactic.